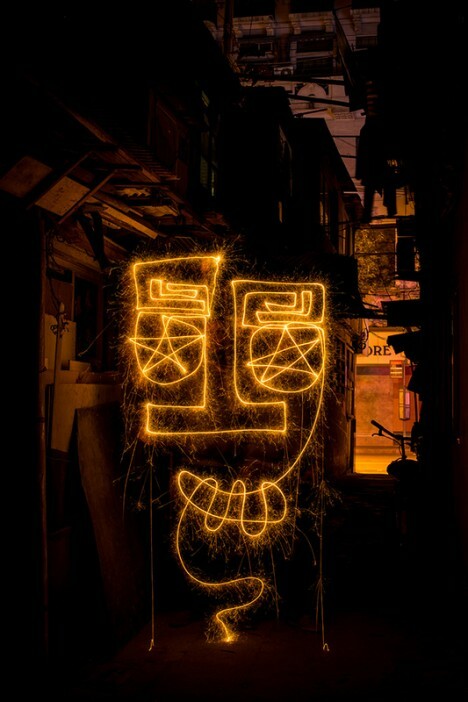 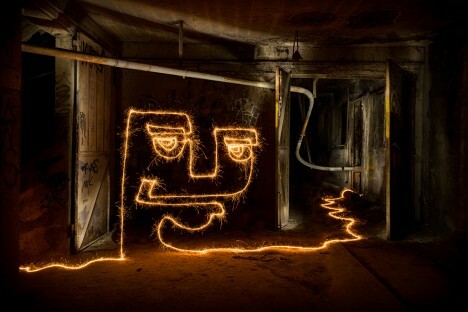 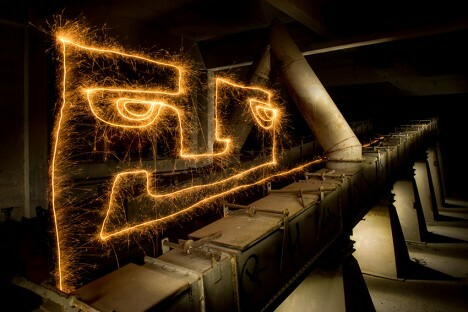 Light painter Diliz has worked for three years to twist, turn and perfect his single-line sparkler sketches in urban settings around the world. 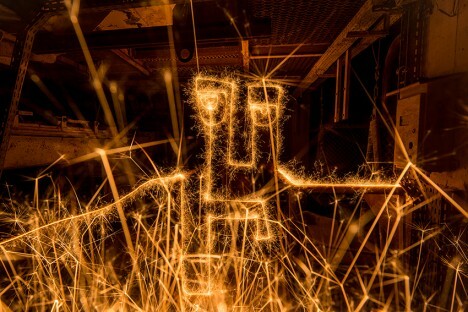 Each successive shot is related to a new time and place but also reflects a fresh attempt at capturing a mood and creating a sense of site-specific interaction. 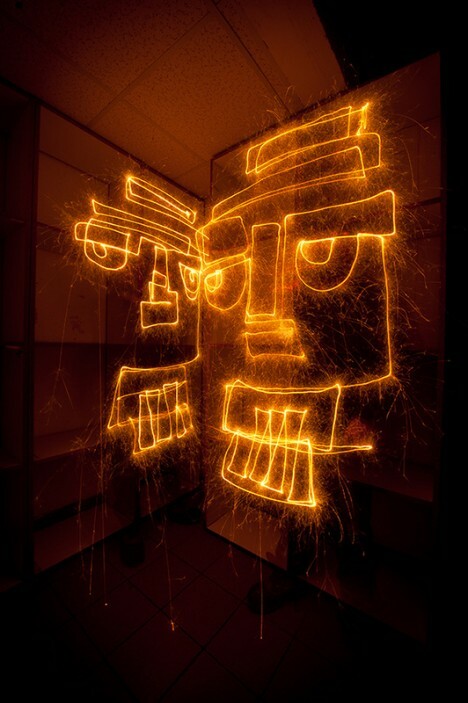 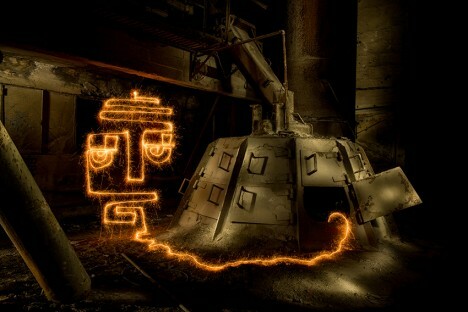 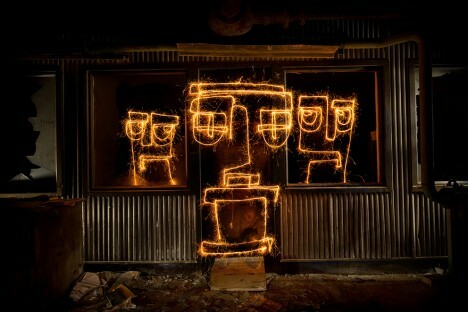 Diliz (aka Vincent Delesvaux) has experimented with all kinds of photographic light art. 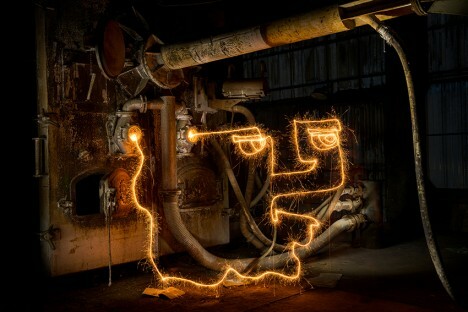 In this particular series, dubbed 60 Seconds to Find an Exit, he set up shop at night in out-of-the-way streets and alleys, abandoned buildings and deserted basements. 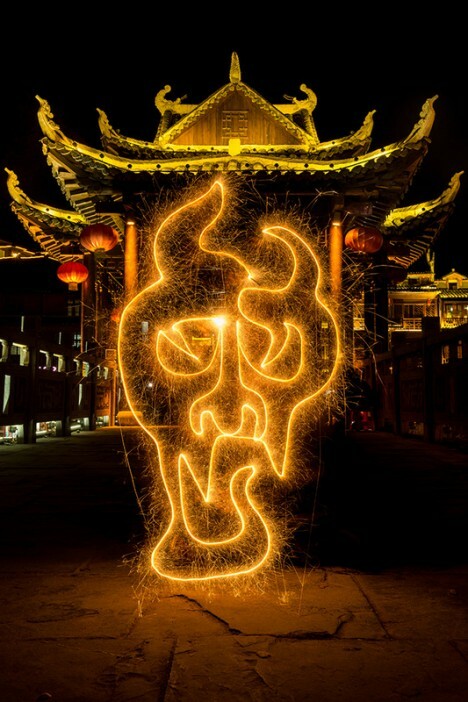 His travels took him everywhere from European locations (including Verbier, Switzerland and Grenoble, France) all the way to cities in China, such as Lijiang, Yangshuo Fenghuang and Shanghai.